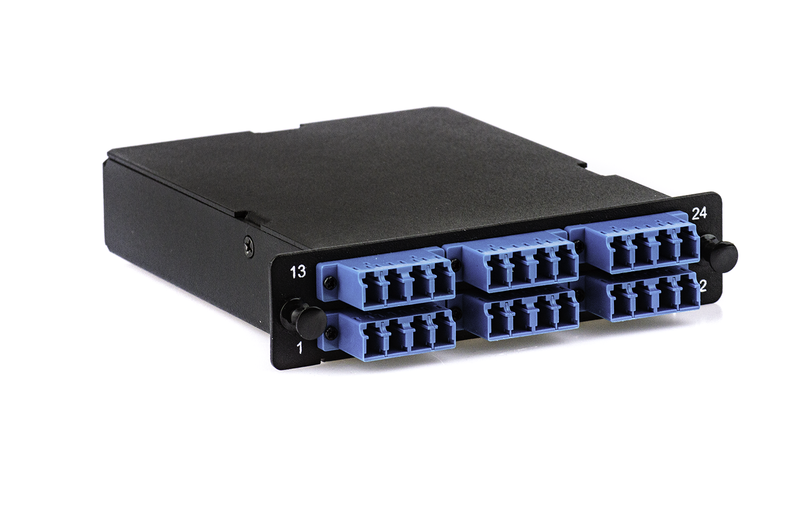 Fiber Connections’ new line of harware provides a variety of options for patching only or patch and splice requirements. We offer 1U, 2U , 3U and 4U rack mount panels with a variety of adapter plates, splice trays or pre-terminated fiber distribution modules. The enclosures are made from 16 gauge, heavy duty steel with a durable, powdercoat paint finish. 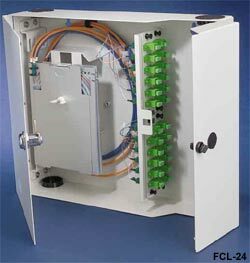 Fiber Connections’ Wall Mounted Fiber Optic Enclosures are ideal for telecommunications closets where rack space is not available. The enclosures provide easy access and options for splice and terminate or simply terminate and patch. Wall Mounted enclosures are constructed from heavy duty 16 gauge with a powdercoat paint finish for durability. Single door and 2 door options are available with optional locks. Fiber Distribution Modules save time and money by reducing field termination time by up to 90%. The simple “plug in and play” feature of Fiber Connections’ Fiber Distribution Modules (FDMs), eliminates the need for on-site termination of fiber optic cables. 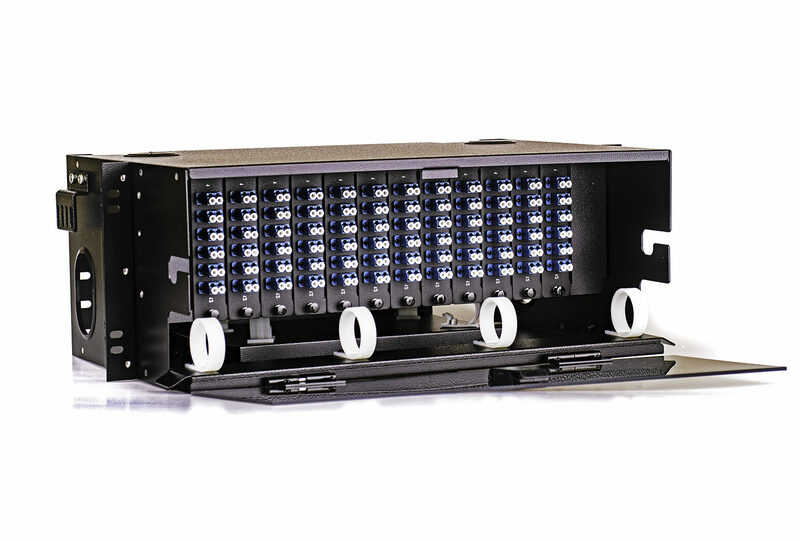 Our FDMs are designed to provide a compact and secure modular cabling system that is compatible with our Rack Mount Housings. The MTP® connector is located on the rear of each module for easy access when using pre-terminated MTP® Cable Assemblies. FDMs are available with any standard 50/125µm (OM2, OM3 or OM4), 62.5/125µm and single mode fiber. We offer standard SC, LC, MTRJ, FC and ST front panel adapters and 12 or 24 fiber MTPs in the rear.